Winterton-on-Sea01493 846346work VillageWinterton-on-Sea is a pretty little thatched cottage historic village with a backdrop of majestic white wind turbines inland towards the village of Somerton, and mile after mile of pale sandy beach backed by sand dunes to the west. It is the perfect location for a seaside holiday away from it all without an amusement arcade in sight. A range of holiday accommodation is available along with a friendly beachside café and local village fish and chip shop. Winterton-on-Sea is a pretty little thatched cottage historic village with a backdrop of majestic white wind turbines inland towards the village of Somerton, and mile after mile of pale sandy beach backed by sand dunes to the west. At Winterton-on-Sea and north along the coast to Horsey, the Broads overlap with the Norfolk Coast Area of Outstanding Natural beauty where in the winter seal pups are born on the beach. 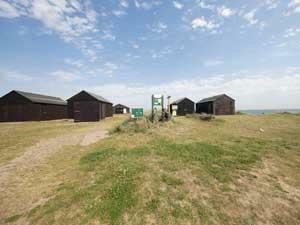 A viewing area is available a short walk from Horsey.